Taking falls, facing obstacles and making the most of a situation can be an everyday affair for young people in Timor Leste, but its growing skating scene is giving these things a whole new meaning. 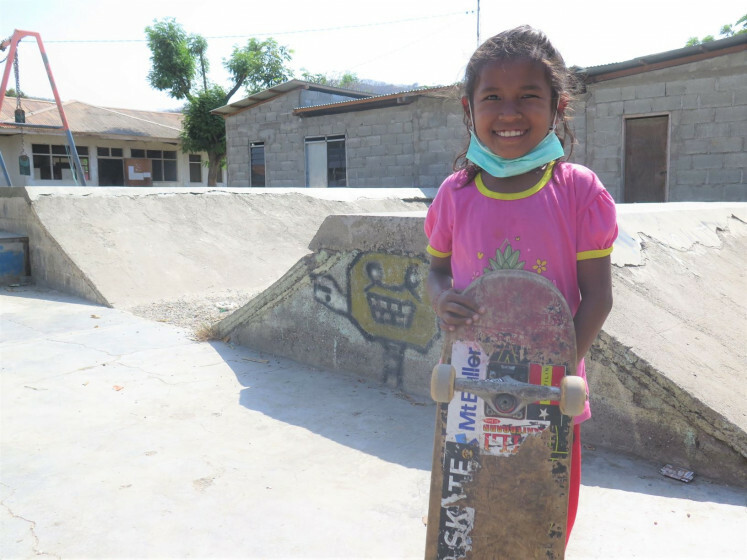 Skateboarding first emerged in the outskirts of Dili a little more than 10 years ago when a group of local skaters – drawing on passion more than experience – built their own skate park that has since become the heart of the rising trend. Still the only skate park in all of Timor Leste, years of vigorous use have left it dangerous and unpredictable. Yet broken boards and cracked concrete have done nothing to weaken the skaters’ resolve. Dili skater Azefio Da Costa De Jesus says that although skating is still a new phenomenon for the community, he hopes to “share knowledge through skateboarding” and show people how to use it in the right way. “Timor Leste is a new and under-developed nation so there is only one skate park in the whole country,” the 20-year-old told The Jakarta Post over the phone from Dili. "Its condition is damaged because it has many holes and the space is too narrow to skate." He says it is “unacceptable” when compared to the skate parks in other countries and hopes that facilities can improve in the future for the scene to truly thrive. “My dream is if the skate park in Dili could look as good as in neighboring countries […] and build skate parks in the whole country in order to involve many people,” he said. A Melbourne-based organization, Timor Skate Inc., is now working to give Timor’s skaters the park they truly deserve. A planned redevelopment of the park – done in collaboration with the Ba Futuru organization that houses the existing park – would allow the locals to skate on a facility that is at an international standard. It would give the already passionate and skilled skaters a place to further their craft and strengthen a culture embodied by freedom, creativity and a do-it-yourself attitude – something they are very much looking forward to. While opening the door for skating prospects, it would also provide a creative and physical outlet for all young people, who despite making up over 60 percent of the population, severely lack education and employment opportunities. Over 40 percent of Timor Leste’s population currently lives under the poverty line and only 20 percent of preschool-aged children are reportedly enrolled in school. A median age of less than 19 years means responsibility is largely placed on the youth to promote positivity and change throughout Timor Leste’s communities. Timor Skate Inc. president Nick Oats, who has made a number of recent visits to observe their skating scene and way of life, said it offers inspiration and encouragement for people who are offered little else. “For the youth in general in Timor there are limited opportunities, be it education, employment or recreational activities,” he said. 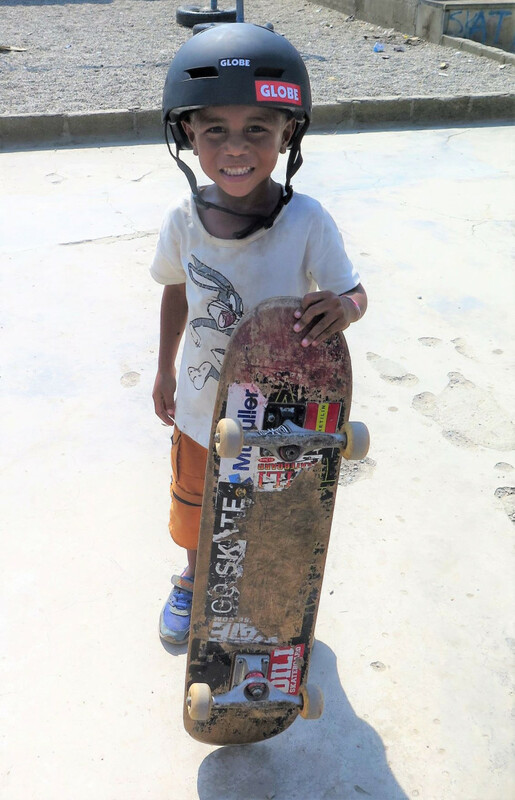 With personnel who all come from skateboarding backgrounds or have directly benefited from skating, skating’s positive influence is something the people at Timor Skate can relate to firsthand. They recently hosted a fundraiser in collaboration with Decks for Change at Melbourne’s punk-renowned Reverence Hotel. The bar was filled with skate and music fans alike and featured performances from up-and-coming and established talents from across Australia’s music scene. The gig was a testament to the deep connection between skateboarding and music, in particular punk rock and its offshoots. 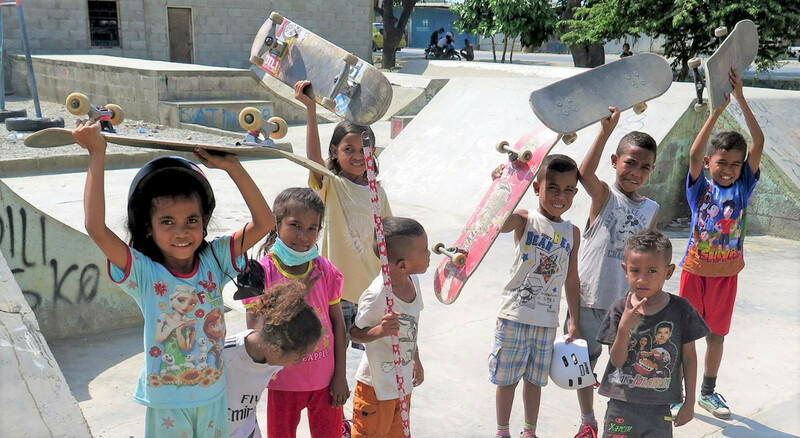 The event raised more than US$2,000 and displayed the draft design of the skate park, which was made in partnership with some of Dili’s own diehard skaters. The organization’s vice president Wade Trevean, who has helped create more than 120 skate parks around the world in countries such as Nepal, Palestine and Iraq, believes skating has a unique ability to break barriers and encourage all kinds of people to participate. “I have witnessed the young and old, the rich and poor, male and females, along with people of differing cultural and religious backgrounds, all harmoniously populate their facility,” Trevean says.